Not a member? Sign up here. Click to see Howtobet4free’s collection of betting previews, blogs and infographics. Written by experienced writers and tipsters, we cover odds, data and opinion to give you all the information you need to back a winner. Welcome to Howtobet4free’s Sport Betting area. Here you will find all the information you find dedicated pages to guide you through betting on each sport or event. Howtobet4free’s easy to use Bet Calculator shows you the profit, returns and chance of winning on single, multiple, spread and accumulator bets. Simply input the odds to get started – and leave the mental maths in the classroom! Welcome to Howtobet4free’s Bet Smart area. Here you will find all the information you need to guide you through the world of online betting. From Betting Guides to Live Scores, we have you covered. 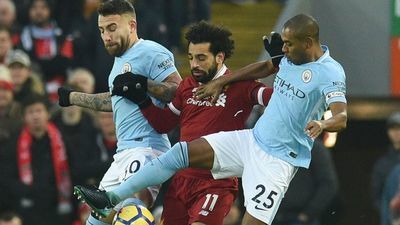 Liverpool vs Manchester City: Liverpool too hot to handle!? What a footballing clash this could be! Liverpool play Manchester City at Anfield this Sunday afternoon and all football fans expect a absolute corker of a game! Expectations are high and if it's anything like last season we're in for a footballing masterclass. Unlike most dubbed 'Super Sunday's' this truly deserves the name! Pep vs Klopp! 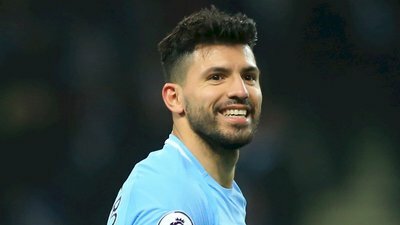 Salah vs Aguero! 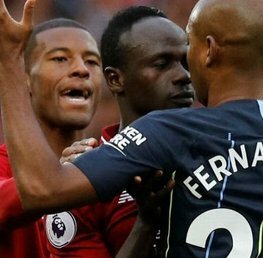 Kompany vs Van Dijk! Both sides had Champions League duties in midweek, with Liverpool underdone by a late deserved Napoli winner and Pep's men earning their first Champions League victory away at Hoffeheim! Divided by just goal difference, there's no question, victory in this game could well setup either team in their pursuit of the 2018/19 Premier League crown. City may well be Prem champions, but Liverpool had their number last season, so both should have plenty of motivation to get all set the record straight! This game has extra importance as we go into the international break! Liverpool suffered their first defeat of the season on Wednesday in a display that wasn't the usual Liverpool performance we'd come to expect this season. Home advantage in the Premier League will give this tie a different slant. Liverpool won't stand off like they did in Naples. A high pressure attacking display will be the game plan! The Reds have picked up their form since the second half of last season, with impressive victory after victory! Even without Mo Salah in tip top form so far this term, it seems this Liverpool squad has enough firepower to keep the goals up! If you fancy Mo to do the business, Salah is 4/1 to score the first goal with Betfred! 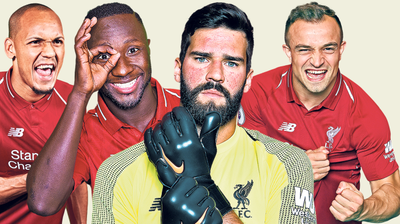 The additional signings of Xherdan Shaqiri, Naby Keita, Fabinho, and Alisson Becker has given Liverpool an even more solid look! Naby Keita should be fit in time for the game, and bar the long term injury for Alex Oxlade-Chamberlain, it's a virtually a fully fit squad for Jurgen Klopp to choose from. Daniel Sturridge should be pushing for a start given his recent form, but it would be a brave man to disrupt the Mane, Firmino and Salah trio! If you fancy Sturridge to score and Liverpool to win, it's 5/2 with Boylesports! Liverpool should have every confidence coming into this game, but no wins in the last three games may raise question in some of the more pessimistic fans! Liverpool have a chance to beat City for the fourth time in a competitive fixture this calendar year! An astonishing stat, which almost seems impossible given the City plaudits of the last 12 - 18 months! Although Manchester City are top of the league (albeit on goal difference) and current Champions, you get the feeling that Guardiola still has a lot to prove against Liverpool. Liverpool dismantled City in the Champions League and ruffled Manchester City at the turn of the new year! City have a point to prove! City big guns Kevin De Bruyne and Benjamin Mendy may feature, although it's perhaps a game or two early for the pair. Ilkay Gundogan is a doubt so you would expect a similar side to the one that ended the game against Hoffenheim. Whatever the starting eleven, it's a team packed with high quality. Sergio Aguero should start the game, although Liverpool have managed to keep the Argentinian front man out in his previous nine visits to Anfield. If you fancy Aguero to score the first goal, Coral are offering 9/2! Perhaps a safer bet is both teams to score at 1/2 with Betfred! City last won at Anfield in 2003, but looking at history is meaningless for this radically changed Manchester City team. City now break records with abandonment! City have almost gone under radar this season. Winning game after game, but not engaging the same media hype as the Merseyside team. Liverpool haven't conceaded goal in their first 3 Premier League home matches. Liverpool haven't conceaded at home in the league since a 4-1 win over West Ham in February 2018. 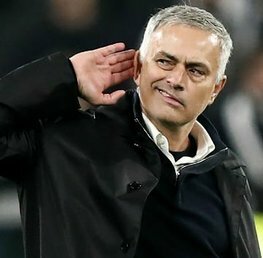 Last season Premier League games between the two teams produced 12 goals! Sergio Aguero has never scored at Anfield. City have scored 11 first half goals in the league. Liverpool: 8/5 – Betfair - Visit Betfair! Draw: 5/2 – William Hill - Visit William Hill! Manchester City: 9/5 - Bet Victor – Visit Bet Victor! Liverpool looked poor against Napoli, uncharacteristically poor! Liverpool didn't even register a shot on target, which is the polar opposite of how the Reds have dispatched teams for fun in the Premier League. Liverpool already played two tough games against high quality opposition within just over a week, so should be sharp for this one! I think Klopp's men will rise to the challenge and I would expect goals and Liverpool to dominate from the start! Liverpool are 24 unbeaten at home in the league and I don't see that record ending here! City without De Bruyne and Mendy are still strong, but the Belgium ace makes City tick and adds creativity which is hard to replace! While I can see Man City creating chances, I think Liverpool will dominate the midfield and out score the Pep's men! Pep has never lost to any manager more than he has done against Klopp (seven times), and I think Sunday will add to that record! Enjoy the game! Don't Bet Without Us! Liverpool Win: 8/5 with Betfair - Visit Betfair! Over 2.5 goals: 4/6 with Betfair - Visit Betfair! Most Corners - Liverpool: 7/5 with Unibet - Visit Unibet! Please note all odds are correct at the time of publishing (00:00 6th October 2018) and are subject to change. 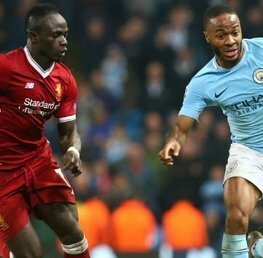 Manchester City vs Liverpool: Title Decider! 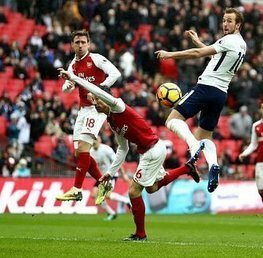 Arsenal vs Tottenham Hotspur: Is the Sky Red or Gap Closed? Howtobet4free supports responsible gambling. If you want advice or have questions or concerns about gambling for yourself or anyone you know please contact BeGambleAware online or by phone.